Hello, lovelies~ How is everyone doing in the middle of the week? It's just two more days until the lovely Friday came to rescue us from the workday, lol. Anyway, I want to review a concealer that I have been using quite often recently. Packaged in a similar tube as usual lip gloss, the Berry Lovely Girl Tip concealer has a doe foot applicator. 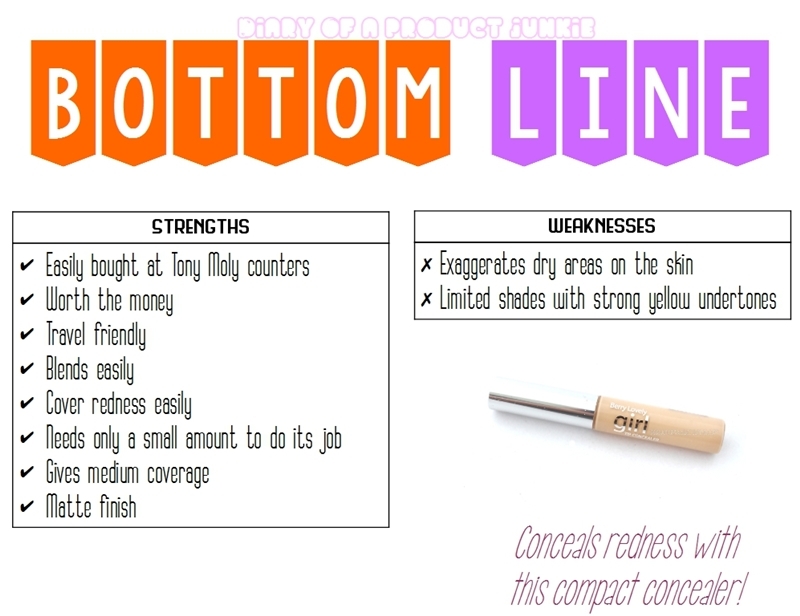 Measuring at 8.5 cm in length, this concealer is compact to carry for travel purposes in almost any makeup bag. I have mine in shade #2, which is almost like a natural beige shade, but with a slightly stronger yellow undertone. However, I feel that the yellow undertone is perfect to conceal any redness on my face. 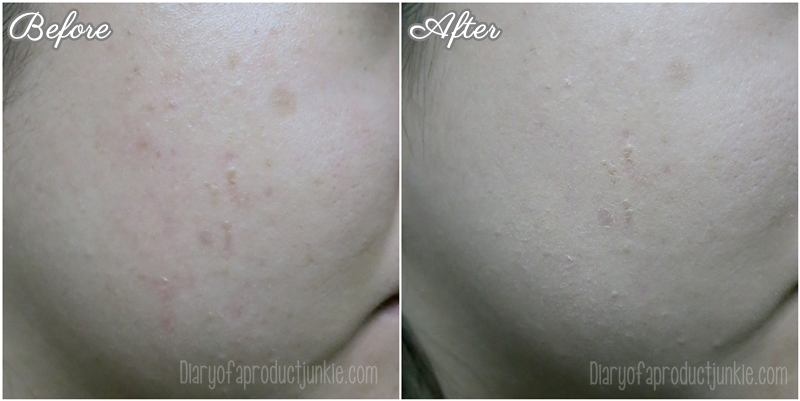 The photo below shows the comparison of using the concealer. I used a layer of the concealer, dotting it on the areas where I needed it and blending them evenly. I use my fingers or a fluffy eye blending brush for the job. I only need a small amount of this product to properly cover my imperfections, but I do find that it clings to the dry areas on my face, exaggerating them more. Even if didn't last all day on my face, I still like the light consistency and feel on my face. The amount needed to give coverage is not much, which makes it great for me since it is economical. Like most Korean products, the shades are very limited, making it impossible for darker skin tone to use them. However, this concealer is very well worth the money for me. Great for : redness, post-acne marks that are red.